We all hear the horror stories of losing a loved one to a farm-related incident. The families left behind ponder what would have happened “if only.” If only he had been more careful, if only she wasn’t in such a hurry, if only we had known. Moved by stories of farming-related tragedies, Jack Odle, editor of The Progressive Farmer, launched an effort in 1995 to help prevent farm deaths. 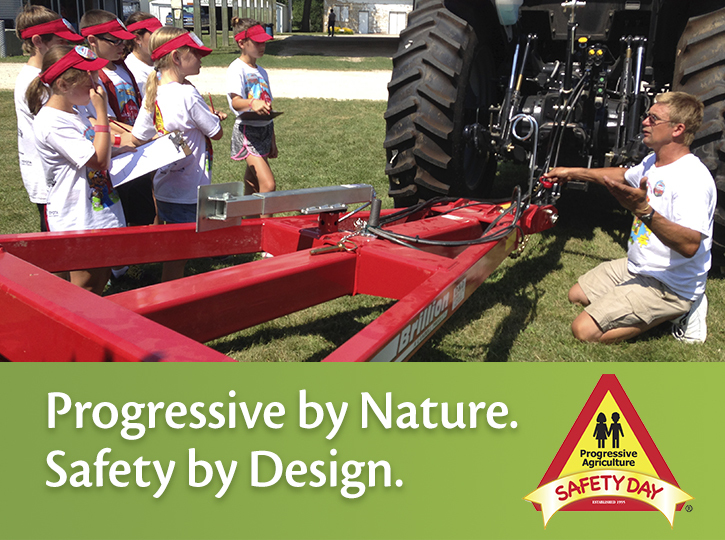 This effort evolved to become the Progressive Agriculture Safety Day® program. Now in its 19th year, the effort is continuing the mission of eliminating farm injury and death by providing education and training to make farm, ranch and rural life safer and healthier for children and their communities through its Safety Day program. PAF is supported by generous sponsors who donate time and money to invest in the next generation of rural North America. The program also has a large network of volunteers who contribute time and skills to host 400+ individual Safety Days annually. In 2012, 19,442 volunteers provided safety information to 79,023 participants. 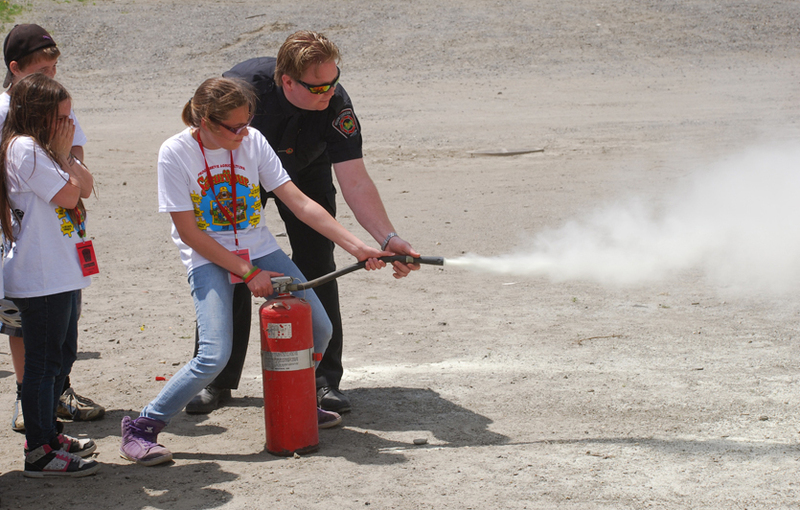 The core mission of the Safety Day program is simple: to keep children safe and healthy. By focusing on topics that are relevant to children in rural areas, the Safety Day program has successfully reached more than 1.1 million children and volunteers. Would Progressive Agriculture Safety Days benefit the families you know? What safety topics would be most important for your community? Learn more about how you can get involved or start a local Safety Day. In 2012, an estimated 14,138 children were injured on U.S. farms and ranches. That’s why Progressive Agriculture Foundation (PAF) was started: to help prevent these injuries and keep rural children alive and well. The five employees who work for PAF visit many states across the US and Canada to support the 415+ Safety Days each year, all organized by hundreds of volunteers committed to rural safety. PAF is excited to announce they are a finalist for Toyota’s 100 Cars for Good. The program is showcasing five nonprofit organizations each day for 50 days at https://apps.facebook.com/carsforgood/. Each day, visitors to the page can vote for two of the five organizations they feel are most deserving of new Toyota vehicles. So how can your vote help? With more than 100 Safety Days and sponsors within driving distance of the PAF Kansas City Office, a Toyota Tundra would help us boost awareness and reduce overhead. A Toyota Tundra decked out with the PAF and Safety Days logos would help increase visibility as we travel to appointments, tradeshows and Safety Days. It also would reduce rental car expenditures by $2,500 annually. Since it takes about $13 to get one child to a Safety Day, saving $2,500 means 192 more kids could attend a Safety Day each year. That’s nearly 200 kids learning how to stay safe and healthy in their communities. That’s worth a vote on October 23, isn’t it? Click here to give yourself a reminder to vote on Facebook. https://apps.facebook.com/carsforgood/. Progressive Agriculture Safety Days are on Social Media! Welcome to the Progressive Agriculture Foundation® and Progressive Agriculture Safety Day® blog! We are very excited to join social media and share stories from our Progressive Agriculture Safety Day program with you. Here and on Facebook you’ll find news from the program and our volunteer coordinators, and see how we impact rural families across North America and beyond. We hope that you’ll get to know us better, and more importantly, see the people who carry out our mission to provide education and training to make farm, ranch and rural life safer and healthier for children and their communities. Our dedicated volunteer coordinators hold one-day Safety Day events for children in schools and rural communities in the U.S., Canada, American Samoa and the U.S. Virgin Islands. And, every day our work helps protect the lives of the more than 1.2 million participants we’ve already reached with safety and health education. We look forward to sharing their stories with you, and providing safety tips for your family, too. We invite you to to share your personal stories or ask questions here, “like” us on Facebook, and visit us at www.progressiveag.org.